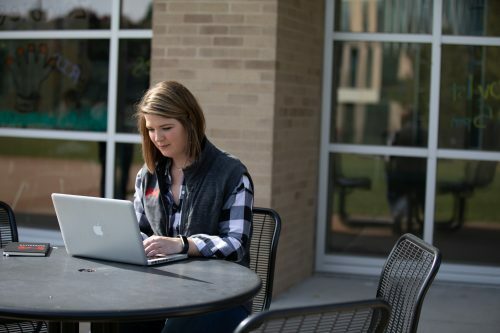 In January 2019, Maryville University announced the expansion of its online degree programs. Twelve additional programs – two master’s degrees and 10 bachelor’s degrees – will be offered in the fall of 2019 to allow students to pursue an accessible and flexible education. The new online programs build on nearly 150 years of academic excellence at Maryville and a tradition of innovation that adapts to meet the changing needs of students. Nationally ranked Maryville University continues to grow impressively, reporting a 16 percent overall increase in enrollment this year and educating students from 50 states and 55 countries. The university also boasts a 97 percent job placement rate for graduates and will soon expand cutting-edge learning spaces across campus. Founded in 1872, Maryville University is a comprehensive and nationally ranked private institution with an enrollment of more than 9,200 students. Maryville offers over 90 degrees at the undergraduate, master’s and doctoral levels to students from 50 states and 55 countries. Among recent graduates, 97 percent are employed or attending graduate school. More than 17,000 Maryville alumni work and live in the St. Louis region.